Characterization of a functional thrombin receptor. Issues and opportunities. Citation Information: J Clin Invest. 1992;89(2):351-355. https://doi.org/10.1172/JCI115592. Autoimmune anti-HIV-1gp120 antibody with antiidiotype-like activity in sera and immune complexes of HIV-1-related immunologic thrombocytopenia. Citation Information: J Clin Invest. 1992;89(2):356-364. https://doi.org/10.1172/JCI115593. Autoimmune antiidiotype-like antibody (Ab2) directed against anti-HIV-1gp120 (Ab1) was found in high titer in the sera of 10 consecutive homosexual and 11 narcotic addict HIV-1-related immunologic thrombocytopenia (HIV-1-ITP) patients, was barely detectable in 10 nonthrombocytopenic HIV-1 sero-positive individuals, and was not detectable in 5 normal subjects by use of a solid-phase RIA. Reactivity of autologous Ab2 for Ab1 was 4-120-fold greater than Ab2 for homologous Ab1. Affinity-purified Ab2 did not block the binding of affinity-purified Ab1 to its HIV-1gp120 epitopes on immunoblot, indicating the absence of "internal image" antiidiotype. Both Ab1 and Ab2 are precipitable from sera with polyethylene glycol (PEG) and present in a macromolecular complex that is excluded by gel filtration on G200 and contains IgG, IgM, C3, and the anti-F(ab')2 antiidiotype-like complex. PEG-precipitable complexes bind to platelets in a saturation-dependent manner. Neither affinity-purified Ab1 nor Ab2 binds to platelets. However, the combination of Ab1 and Ab2 (preincubated for 2 h at 22 degrees C) binds to platelets in a saturation-dependent manner at an optimum ratio range of 10-20:1. Ab2 reactivity correlates with serum PEG-precipitable immune complex level (r = 0.91; P less than 0.001) and with thrombocytopenia (r = 0.89; P less than 0.001). We suggest that the anti-HIV-1gp120 antiidiotype-like complex contributes to the markedly elevated platelet Ig and C3 level of HIV-1-ITP patients and propose that this may contribute to their thrombocytopenia. Long-term activation of protein kinase c causes chronic Na/H antiporter stimulation in cultured proximal tubule cells. Citation Information: J Clin Invest. 1992;89(2):365-372. https://doi.org/10.1172/JCI115594. To examine the role of protein kinase C as a chronic regulator of proximal tubule Na/H antiporter activity, the effect of phorbol 12-myristate 13-acetate (PMA) on the Na/H antiporter was studied in cultured proximal tubule cells. Short-term activation of protein kinase C by 5 min exposure to PMA caused an acute increase in Na/H antiporter activity that was not prevented by cycloheximide or actinomycin D and did not persist 24 h later. Long-term activation of protein kinase C by 2 h exposure to PMA caused a dose-dependent increase in Na/H antiporter activity 24 h later. This latter effect was due to protein kinase C activation in that it was inhibited by sphingosine and was not seen with 4 alpha-PMA, an inactive analogue. The chronic effect of PMA was inhibited by 10 nM actinomycin D or 7 microM cycloheximide. Proximal tubule cells exposed to PMA for 2 h demonstrated a two- to threefold increase in Na/H antiporter mRNA (mRNANa/H) abundance 4 h later. In conclusion, short-term activation of protein kinase C leads to a transient increase in Na/H antiporter activity that is independent of transcription and translation, whereas long-term activation of protein kinase C causes a persistent increase in antiporter activity that is dependent on transcription and translation and is associated with increased mRNANa/H abundance. This latter effect may mediate increased Na/H antiporter activity in a number of chronic conditions. Lipoprotein lipase increases low density lipoprotein retention by subendothelial cell matrix. Citation Information: J Clin Invest. 1992;89(2):373-380. https://doi.org/10.1172/JCI115595. Lipoprotein lipase (LPL), the rate-limiting enzyme for hydrolysis of plasma lipoprotein triglycerides, is a normal constituent of the arterial wall. We explored whether LPL affects (a) lipoprotein transport across bovine aortic endothelial cells or (b) lipoprotein binding to subendothelial cell matrix (retention). When bovine milk LPL was added to endothelial cell monolayers before addition of 125I-labeled LDL, LDL transport across the monolayers was unchanged; but, at all concentrations of LDL tested (1-100 micrograms), LDL retention by the monolayers increased more than fourfold. 125I-labeled LDL binding to extracellular matrix increased when LPL was added directly to the matrix or was added to the basolateral side of the endothelial cell monolayers. Increased LDL binding required the presence of LPL and was not associated with LDL aggregation. LPL also increased VLDL, but not HDL, retention. Monoclonal anti-LPL IgG decreased both VLDL and LDL retention in the presence of LPL. Lipoprotein transport across the monolayers increased during hydrolysis of VLDL triglyceride (TG). In the presence of LPL and VLDL, VLDL transport across the monolayers increased 18% and LDL transport increased 37%. High molar concentrations of oleic acid to bovine serum albumin (3:1) in the medium increased VLDL transport approximately 30%. LDL transport increased 42% when oleic acid was added to the media. Therefore, LPL primarily increased retention of LDL and VLDL. A less remarkable increase in lipoprotein transport was found during hydrolysis of TG-containing lipoproteins. We hypothesize that LPL-mediated VLDL and LDL retention within the arterial wall potentiates conversion of these lipoproteins to more atherogenic forms. NH2-terminal globular domain of human platelet glycoprotein Ib alpha has a methionine 145/threonine145 amino acid polymorphism, which is associated with the HPA-2 (Ko) alloantigens. Citation Information: J Clin Invest. 1992;89(2):381-384. https://doi.org/10.1172/JCI115596. The glycoprotein (GP) Ib/IX complex, a prominent platelet GP complex, is the primary receptor for vWF. Previously, we have established that an antigenic polymorphism of platelets, the HPA-2 or Ko alloantigen system, is located on the 45-kD amino-terminal globular domain of GPIb alpha. With the polymerase chain reaction, we have amplified two segments of the GPIb alpha gene coding for the first 382 amino acids of two HPA-2a and two HPA-2b homozygous individuals. Nucleotide sequence analysis revealed as the only difference a C-T polymorphism at position 434 of the coding region for the mature protein. This base change results in a substitution of threonine (ACG) in HPA-2a (Kob) to methionine (ATG) in HPA-2b (Koa) at amino acid position 145. The C-T polymorphism is reflected in a difference in restriction enzyme recognition, resulting in an Aha 2-site in the HPA-2b allele and a SfaN1 site in the HPA-2a allele. Restriction fragment length polymorphism analysis of the amplified DNA of 3 HPA-2(a-,b+), 2 HPA-2(a+,b+), and 11 HPA-2(a+,b-) donors showed that these restriction sites were associated with the HPA-2 alleles. DNA-typing for the HPA-2 alloantigen system on genomic DNA obtained from a small number of cells may be applied for determining the genotype of a fetus from an immunized mother or of severely thrombocytopenic patients. Cloning and expression of a mutant methylmalonyl coenzyme A mutase with altered cobalamin affinity that causes mut- methylmalonic aciduria. Citation Information: J Clin Invest. 1992;89(2):385-391. https://doi.org/10.1172/JCI115597. Distinct genotypic and phenotypic forms of methylmalonyl CoA mutase (MCM) apoenzyme deficiency can be delineated by biochemical analysis of mutant fibroblasts. One form, designated mut-, expresses a phenotype in which residual enzyme activity is evident in cultured cells exposed to high concentrations of hydroxycobalamin. We describe cloning of an MCM cDNA from cells exhibiting a mut- phenotype and characterization of the mutant gene product overexpressed in primary muto human fibroblasts and Saccharomyces cerevisiae. Three novel base changes were observed. Recombinant clones containing one of these base changes (G717V) express four characteristics of the mut- phenotype: failure to constitute [14C]propionate incorporation activity in fibroblasts assayed under basal cell culture conditions, constitution of [14C]propionate incorporation activity in fibroblasts stimulated with 0.1-1.0 micrograms/ml hydroxycobalamin, interallelic complementation with alleles bearing an R93H mutation, and an apparent Km (adenosylcobalamin) 1,000-fold higher than normal. These results demonstrate that the G717V mutation produces the mut- phenotype and localizes determinants for adenosylcobalamin binding near the carboxyl terminus of MCM. Fibronectin expression in the normal and hypertrophic rat heart. Citation Information: J Clin Invest. 1992;89(2):392-401. https://doi.org/10.1172/JCI115598. We examined changes in the expression of fibronectin during the induction of cardiac hypertrophy by L-triiodothyronine administration and by mineralocorticoid- and salt-induced experimental hypertension. By use of Northern and Western blotting procedures, fibronectin was localized mainly in the atria of normal rat hearts. Atria contained 10- and 5-fold higher relative concentrations of fibronectin mRNA and protein, respectively, compared with ventricles. During the progression of cardiac hypertrophy induced by L-triiodothyronine over a 10-d period, there was a progressive increase in fibronectin mRNA for the first 6 d followed by a return to control levels. The major change could be accounted for by changes in ventricular mRNA, which increased about four- to sixfold. In contrast, protein levels in ventricles increased progressively over the 10-d treatment period. Ribonuclease protection analysis indicated that the relative amounts of fibronectin isoforms containing exons designated EIIIA and EIIIB increased during the progression of hypertrophy. When cardiac hypertrophy was induced by mineralocorticoid and salt treatment, increases in ventricular fibronectin mRNA and protein and the induction of alternatively spliced forms of fibronectin were also observed. However, the extent and temporal pattern of fibronectin expression differed between the two experimental models. Isoprenoid metabolism is required for stimulation of the respiratory burst oxidase of HL-60 cells. Citation Information: J Clin Invest. 1992;89(2):402-408. https://doi.org/10.1172/JCI115599. The formation of oxygen radicals by phagocytic cells occurs through the activation of a multiple-component NADPH oxidase system. An unidentified low molecular weight GTP-binding protein has been proposed to modulate the activity of the NADPH oxidase. The low molecular weight GTP-binding proteins undergo posttranslational processing, including an initial covalent incorporation of an isoprenyl group. To test whether such an isoprenylation reaction might be required for the activity of the oxidase, we utilized compactin and lovastatin as inhibitors of the isoprenylation pathway. Treatment of DMSO-differentiated HL-60 cells with compactin produced a concentration-dependent inhibition of O2- formation in response to FMLP or phorbol myristate acetate. Cell viability was not affected nor was normal differentiation of the HL-60 cells into a neutrophil-like cell. The inhibitory effect of compactin was specifically prevented by addition of exogenous mevalonic acid to the HL-60 cells, indicating that the inhibitory effects of the drug were due to blockade of the pathway leading to isoprenoid synthesis. Addition of cholesterol, ubiquinone, or dolichol, which are also downstream products of the isoprenoid pathway, did not override the inhibitory effects of the drug. Subcellular fractions were prepared from compactin-treated cells, and the location of the compactin-sensitive factor was determined by complementation analysis in a cell-free NADPH oxidase system. The inhibited factor was localized to the HL-60 cytosol. These data suggest that an isoprenoid pathway intermediate is necessary for activation of the phagocyte NADPH oxidase. This is likely to represent the requirement for an isoprenoid moiety in the posttranslational modification of a low molecular weight GTP-binding protein. Our studies provide support for the involvement of such a low molecular weight GTP-binding protein in NADPH oxidase activation. Role of a pituitary-specific transcription factor (pit-1/GHF-1) or a closely related protein in cAMP regulation of human thyrotropin-beta subunit gene expression. Citation Information: J Clin Invest. 1992;89(2):409-419. https://doi.org/10.1172/JCI115600. cAMP regulation of the human thyrotropin-beta (TSH beta) gene cAMP was studied in two heterologous cell lines, a human embryonal kidney cell line (293) and a rat pituitary cell line (GH3). In 293 cells, human TSH beta gene expression was not stimulated by the adenylate cyclase activator forskolin or the cAMP analogue 8-bromo-cAMP (8-Br-cAMP). On the other hand, these agents induced human TSH beta gene expression 4-12-fold in GH3 cells. Deletion analysis demonstrated that the regions from +3 to +8 bp and from -128 to -61 bp were both necessary for cAMP stimulation. The latter region contains three DNA sequences homologous to a pituitary-specific transcription factor, Pit-1/GHF-1, DNA-binding site. Gel-mobility assays demonstrated that a radiolabeled human TSH beta probe (-128 to -61 bp) formed five specific DNA-protein complexes with mouse thyrotropic tumor (MTT) nuclear extract and two specific complexes with in vitro translated Pit-1/GHF-1. Four of the five MTT complexes and both in vitro Pit-1/GHF-1 complexes were reduced or eliminated by excess of an unlabeled Pit-1/GHF-1 DNA-binding site from the rat growth hormone gene, but not a mutated version of the same DNA fragment, suggesting that Pit-1/GHF-1 or a closely related thyrotroph protein binds to these DNA sequences. In 293 cells, co-transfection of an expression vector containing the Pit-1/GHF-1 cDNA restored cAMP-responsiveness to the human TSH beta promoter (5.2- and 6.6-fold maximal stimulation by 8-Br-cAMP and forskolin, respectively) but not the herpes virus thymidine kinase promoter (1.2-fold maximal stimulation by either agent). Thus we conclude that the human TSH beta gene is positively regulated by cAMP in GH3 but not 293 cells. Since the human TSH beta gene contains at least one high-affinity binding site for Pit-1/GHF-1 in a region necessary for cAMP stimulation and cAMP stimulation could be restored to the human TSH beta promoter in a previously nonresponsive cell line by the addition of Pit-1/GHF-1, this suggests that Pit-1/GHF-1, or a closely related protein in the thyrotroph, may be a trans-acting factor for cAMP stimulation of the TSH beta gene. Physicochemical and physiological properties of cholylsarcosine. A potential replacement detergent for bile acid deficiency states in the small intestine. Citation Information: J Clin Invest. 1992;89(2):420-431. https://doi.org/10.1172/JCI115601. The properties of cholylsarcosine (the synthetic N-acyl conjugate of cholic acid with sarcosine [N-methylglycine]) were examined to determine its suitability as a bile acid replacement agent for conditions of bile acid deficiency in the small intestine, which causes fat malabsorption. Previous studies in rodents had shown that the compound was well transported by the liver and ileum and underwent neither deconjugation nor dehydroxylation during enterohepatic cycling. By 1H-nuclear magnetic resonance, cholylsarcosine was found to exist in dilute aqueous solution as an almost equimolar mixture of two geometric isomers--cis and trans (around the amide bond)--in contrast to cholylglycine, which was present entirely in the trans form. The critical micellization concentration was 11 mmol/liter, similar to that of cholylglycine (10 mmol/liter). By nonaqueous titrimetry, the pKa' of cholylsarcosine was 3.7, only slightly lower than that of cholylglycine (3.9). Cholylsarcosine was poorly soluble below pH 3.7, but highly soluble above pH 4. In vitro, cholylsarcosine behaved as cholylglycine with respect to promoting lipolysis by lipase/colipase. There was little difference between cholylsarcosine and cholylglycine in their solubilization of an equimolar mixture of oleic acid, oleate, and monoolein (designed to simulate digestive products of triglyceride) or in their solubilization of monooleyl-glycerol alone. When a [3H]triolein emulsion with either cholylsarcosine or cholyltaurine was infused intraduodenally in biliary fistula rats, recovery of 3H in lymph was 52 +/- 10% (mean +/- SD) for cholylsarcosine and 52 +/- 11% for cholyltaurine. When perfused into the colon of the anesthetized rabbit, cholylsarcosine (5 mmol/liter) did not influence water absorption or permeability to erythritol, in contrast to chenodeoxycholate, which induced vigorous water secretion and caused erythritol loss. We conclude that cholylsarcosine possesses the physicochemical and physiological properties required for a suitable bile acid replacement in deficiency states. Feedback inhibition of insulin gene expression by insulin. Citation Information: J Clin Invest. 1992;89(2):432-436. https://doi.org/10.1172/JCI115602. To examine the possible involvement of insulin and glucose in regulation of pancreatic islet gene expression, hyperinsulinemic (insulin infusion 4.1 mU/kg per min) clamps were performed for 12 h in rats at two different levels of glycemia (either 3 or 8 mM). A control group received a saline infusion for 12 h. At the end of the 12-h study period, pancreatic RNA was extracted, proinsulin and amylin mRNAs were measured on total RNA, and glucokinase and glucose transporter (GLUT-2) mRNAs were measured on poly(A)+ RNA by dot blot analysis. In insulin-infused hypoglycemic rats, there was a 58% decrement in proinsulin mRNA (P less than 0.01) relative to levels in controls, with no change in amylin, glucokinase, or islet GLUT-2 mRNAs. In insulin-infused hyperglycemic rats, there was a comparable decrement (44%, P less than 0.01) in proinsulin mRNA and a smaller decrement in GLUT-2 mRNA (32%, P less than 0.05), with no change in amylin or glucokinase mRNAs relative to levels in control animals. These studies suggest that insulin has a negative feedback inhibitory effect on its own synthesis. The mechanism of inhibition is unknown. It could be a direct effect of insulin on its own transcription, or alternatively an indirect effect mediated by humoral or neural factors. Sustained hyperinsulinemia may lead to suppression of normal islet beta cells and may contribute to the ultimate hypoinsulinemia of noninsulin-dependent diabetes mellitus. Noradrenergic inhibition of canine gallbladder contraction and murine pancreatic secretion during stress by corticotropin-releasing factor. Citation Information: J Clin Invest. 1992;89(2):437-443. https://doi.org/10.1172/JCI115603. Gastrointestinal secretory and motor responses are profoundly altered during stress; but the effects of stress and its mediator(s) on the two major gut functions, exocrine pancreatic secretion and gallbladder motility, are unknown. We therefore developed two animal models that allowed us to examine the effects of acoustic stress on canine gallbladder contraction and restraint stress on rat exocrine pancreatic secretion. Acoustic stress inhibited cholecystokinin-8 (CCK)- and meal-induced gallbladder contraction, and restraint stress inhibited basal and CCK/secretin-stimulated pancreatic secretion. These inhibitory responses were mimicked by cerebral injection of corticotropin-releasing factor (CRF) and abolished by the CRF antagonist, alpha-helical CRF-(9-41). The effects of stress and exogenous CRF were simulated by intravenous infusion of norepinephrine but prevented by ganglionic, noradrenergic, and alpha-adrenergic but not beta-adrenergic receptor blockade. Vagotomy, adrenalectomy, and--in rats--hypophysectomy did not alter the effects produced by stress and CRF. These results indicate that endogenous CRF released in response to different stressors in distinct species inhibits canine gallbladder contraction and murine exocrine pancreatic secretion via activation of sympathetic efferents. Release of norepinephrine appears to be the final common pathway producing inhibition of biliary and pancreatic digestive function during stress mediated by cerebral CRF. "Mirror image" antagonists of thrombin-induced platelet activation based on thrombin receptor structure. Citation Information: J Clin Invest. 1992;89(2):444-450. https://doi.org/10.1172/JCI115604. Platelet activation by thrombin plays a critical role in hemostasis and thrombosis. Based on structure-activity studies of a cloned platelet thrombin receptor, we designed two "mirror image" antagonists of thrombin and thrombin receptor function. First, "uncleavable" peptides mimicking the receptor domain postulated to interact with thrombin were found to be potent thrombin inhibitors. Second, proteolytically inactive mutant thrombins designed to bind but not cleave the thrombin receptor were found to be specific antagonists of receptor activation by thrombin. The effectiveness of these designed antagonists in blocking thrombin-induced platelet activation suggests a model for thrombin-receptor interaction and possible strategies for the development of novel antithrombotic agents. Growth hormone augments superoxide anion secretion of human neutrophils by binding to the prolactin receptor. Citation Information: J Clin Invest. 1992;89(2):451-457. https://doi.org/10.1172/JCI115605. Recombinant human growth hormone (HuGH) and human prolactin (HuPRL), but not GH of bovine or porcine origin, prime human neutrophils for enhanced superoxide anion (O2-) secretion. Since HuGH, but not GH of other species, effectively binds to the HuPRL receptor (HuPRL-R), we used a group of HuGH variants created by site-directed mutagenesis to identify the receptor on human neutrophils responsible for HuGH priming. A monoclonal antibody (MAb) directed against the HuPRL-R completely abrogated O2- secretion by neutrophils incubated with either HuGH or HuPRL, whereas a MAb to the HuGH-R had no effect. The HuGH variant K172A/F176A, which has reduced affinity for both the HuGH-binding protein (BP) and the HuPRL-BP, was unable to prime human neutrophils. This indicates that priming is initiated by a ligand-receptor interaction, the affinity of which is near that defined for receptors for PRL and GH. Another HuGH variant, K168A/E174A, which has relatively low affinity for the HuPRL-BP but slightly increased affinity for the HuGH-BP, had much reduced ability to prime neutrophils. In contrast, HuGH variant E56D/R64M, which has a similar affinity as wild-type HuGH for the HuPRL-BP but a lower affinity for the HuGH-BP, primed neutrophils as effectively as the wild-type HuGH. Finally, binding of HuGH to the HuPRL-BP but not to the HuGH-BP has been shown to be zinc dependent, and priming of neutrophils by HuGH was also responsive to zinc. Collectively, these data directly couple the binding of HuGH to the HuPRL-R with one aspect of functional activation of human target cells. Diagnostic value of a synthetic peptide derived from Echinococcus granulosus recombinant protein. Citation Information: J Clin Invest. 1992;89(2):458-464. https://doi.org/10.1172/JCI115606. A specific monoclonal antibody (MAb; EG 02 154/12) directed against a protein epitope of Echinococcus granulosus antigen 5 was used to screen a cDNA library constructed from E. granulosus protoscoleces RNA. One clone designated Eg14 was selected and shown to code for an amino acid sequence partially homologous to that of the clone Eg6 previously identified with the same MAb. Hydrophobic cluster analysis showed that both recombinant antigens may adopt a similar alpha-helical organization and share a common conformational epitope. A synthetic peptide (89-122) mimicking the conformational site of Eg6 and Eg14 was constructed and demonstrated to be able to inhibit binding of the MAb and human hydatid sera to the Eg6 fusion protein (FP6) or to native hydatid antigens. To assess the diagnostic value of the peptide 89-122, we tested sera from patients infected with different parasites for their antibody reactivity with this peptide in ELISA. A high binding sensitivity and specificity of IgG-A-M antibodies were obtained with E. granulosus-infected patient sera. Moreover, the peptide 89-122 was found to be specifically recognized by IgE antibodies from patients with hydatid disease. These results indicate the particular interest of this synthetic peptide as a standardized antigen in diagnosis and treatment surveillance of hydatidosis. Basic fibroblast growth factor enhances the coupling of intimal hyperplasia and proliferation of vasa vasorum in injured rat arteries. Citation Information: J Clin Invest. 1992;89(2):465-473. https://doi.org/10.1172/JCI115607. Basic fibroblast growth factor (bFGF) is mitogenic for smooth muscle cells (SMC) and angiogenic. We examined the in vivo effects of bFGF in balloon denuded carotid arteries of laboratory rats. bFGF was administered continuously from polymer-based devices at 34 ng/d into the periadventitial space of rat carotid arteries for 2 wk. Intimal hyperplasia was not observed in the absence of injury or with lipopolysaccharide induced endothelial dysfunction. Different degrees of vascular injury produced proportionally more intimal hyperplasia. bFGF increased the intimal hyperplastic response 1.3-fold with severe vascular injury, and 2.4-fold with more mild injury. Increased cell proliferation, not extracellular matrix production, accounted for these effects. Cell density was unchanged for the control and bFGF-treated groups, and the number of proliferating intimal cells at 2 wk rose to an amount equivalent to the increase in mass; 1.9- and 4.0-fold for severe and lesser injury, respectively. The relative ability of heparin to reduce SMC proliferation was not altered by the presence of bFGF.bFGF also induced profound angiogenesis within and surrounding the polymeric releasing device, and in the vasa vasorum immediately around the injured arteries. bFGF's effect on vasa was linearly related to the amount of SMC proliferation within the blood vessel. Thus, the in vivo mitogenic and angiogenic potential of bFGF are coupled, and may be similarly modulated by the products of local injury and/or factors in the vessel wall. Identification of three mutant alleles of the gene for mitochondrial acetoacetyl-coenzyme A thiolase. A complete analysis of two generations of a family with 3-ketothiolase deficiency. Citation Information: J Clin Invest. 1992;89(2):474-479. https://doi.org/10.1172/JCI115608. 3-Ketothiolase deficiency (3KTD) stems from a deficiency of mitochondrial acetoacetyl-coenzyme A thiolase (T2). We analyzed the molecular basis of 3KTD in two generations of a family. A boy (patient 2, GK04), his father (patient 1, GK05), his mother, and his brother were studied; three mutant alleles of T2 gene were identified. Patient 1 is a compound heterozygote: one allele has a point mutation of G to A at position 547 on his T2 cDNA, causing Gly150 to Arg substitution of the mature T2 subunit, and the other allele has GT to TT transition at the 5' splice site of intron 8, causing exon 8's skipping of the T2 cDNA. Patient 2 is also a compound heterozygote: one allele inherited from his mother has AG to CG transition at the 3' splice site of intron 10, causing exon 11's skipping of the T2 cDNA, and the other allele derived from patient 1 has the G to A mutation (Gly to Arg). The brother of patient 2 is an obligatory carrier with the mutant allele causing the exon 8 skipping. This report seems to be the first complete molecular definition of 3KTD at the gene level. Molecular basis of lactase levels in adult humans. Citation Information: J Clin Invest. 1992;89(2):480-483. https://doi.org/10.1172/JCI115609. The molecular basis of adult human "lactase deficiency" has long been a subject of controversy. To address this issue, small intestinal biopsies from orienta, black, and white patients were analyzed. Adjacent samples were assayed for lactase and sucrase specific activities and the sucrase/lactase ratio (high ratio signifies lactase deficiency), and the results were compared to lactase steady-state mRNA levels detected in Northern blots probed with a human lactase mDNA. All oriental patients had high ratios and no detectable lactase mRNA. Four black patients had a similar pattern; two with low ratios had detectable mRNA. The group of white patients displayed a range of findings, from high ratio/no mRNA to low ratio/considerable mRNA. Elevated levels of lactase mRNA always correlated with the presence of elevated levels of lactase enzyme activity, suggesting that the difference in levels of adult human intestinal lactase activity among racial groups may be regulated at the level of gene transcription. Fibroblasts modulate intestinal secretory responses to inflammatory mediators. Citation Information: J Clin Invest. 1992;89(2):484-489. https://doi.org/10.1172/JCI115610. Cultured colonic epithelial cells and fibroblasts were used to examine the interaction between these cell types during intestinal secretion. Secretory responses of T84 colonic epithelial cells, measured as changes in the short-circuit current in modified Ussing chambers to bradykinin, serotonin, hydrogen peroxide, and histamine, were enhanced in the presence of fibroblasts, either in cocultures or when separate cultures of fibroblasts were acutely juxtaposed with the T84 cultures. This effect was abolished by pretreatment with indomethacin and the fibroblasts were found to release prostaglandin E2 in response to these inflammatory mediators. Fibroblasts may exert a paracrine regulation on the secretory response of intestinal epithelial cells via the generation and release of cyclooxygenase products in response to inflammatory mediators. These studies suggest a novel function for the intestinal fibroblastic sheath: that of amplification of the inflammatory response through mesenchymal/epithelial interaction. Exacerbation of ischemic dysfunction by angiotensin II in red cell-perfused rabbit hearts. Effects on coronary flow, contractility, and high-energy phosphate metabolism. Citation Information: J Clin Invest. 1992;89(2):490-498. https://doi.org/10.1172/JCI115611. We studied the effects of angiotensin II during low-flow ischemia and reperfusion using red cell-perfused isovolumic rabbit hearts. Under baseline conditions where coronary perfusion pressure (CPP) was 100 mm Hg and left ventricular end-diastolic pressure (LVEDP) was set at 10 mm Hg, 10(-8) M angiotensin II caused a mild increase in LV developed pressure (+12%) and decrease in coronary flow (-8%). Low-flow ischemia was imposed by reducing CPP to 15 mm Hg for 30 min followed by 30 min of reperfusion. During ischemia, the angiotensin II group showed a gradual further reduction in coronary flow in association with a greater depression of LV developed pressure and increase in LVEDP relative to the no-drug group. To separate the effect of angiotensin II on coronary flow from a direct myocardial effect, the angiotensin II group was compared with an additional no-drug group with a matched progressive reduction in coronary flow during ischemia. In these groups, the ischemic depression of LV developed pressure, myocardial ATP levels, and lactate production were similar. However, the ischemic rise in LVEDP was greater (42.0 +/- 5.4 vs. 19.9 +/- 1.3 mm Hg, P less than 0.01) and recovery was incomplete in the angiotensin II group. These observations suggest that angiotensin II exerts a direct adverse effect on LV diastolic relaxation during low-flow ischemia and recovery. Two different allelic mutations in the lecithin-cholesterol acyltransferase gene associated with the fish eye syndrome. Lecithin-cholesterol acyltransferase (Thr123----Ile) and lecithin-cholesterol acyltransferase (Thr347----Met). Citation Information: J Clin Invest. 1992;89(2):499-506. https://doi.org/10.1172/JCI115612. We have elucidated the genetic defect in a 66-yr-old patient with fish eye syndrome (FES) presenting with severe corneal opacities and hypoalphalipoproteinemia. The patient's plasma concentration of high density lipoprotein (HDL) cholesterol was reduced at 7.7 mg/dl (35.1-65.3 mg/dl in controls) and the HDL cholesteryl ester content was 31% (60-80% in controls); however, total plasma cholesteryl esters were similar to normal (60% of total cholesterol vs. a mean of 66% in controls). The patient's plasma cholesterol esterification rate was slightly reduced at 51 nmol/ml per h (control subjects: 61-106 nmol/ml per h), whereas lecithin-cholesterol acyltransferase (LCAT) activity, assayed using a HDL-like exogenous proteoliposome substrate, was virtually absent (0.9 nmol/ml per h vs. 25.1-27.9 nmol/ml per h in control subjects). DNA sequence analysis of the proband's LCAT gene revealed two separate C to T transitions resulting in the substitution of Thr123 with Ile and Thr347 with Met. The mutation at codon 347 created a new restriction site for the enzyme Nla III. Analysis of the patient's polymerase chain reaction-amplified DNA containing the region of the Thr347 mutation by digestion with Nla III confirmed that the proband is a compound heterozygote for both defects. The patient's daughter, who is asymptomatic despite a 50% reduction of LCAT activity, is heterozygous for the Thr123----Ile mutation. Our data indicate that the regions adjacent to Thr123 and Thr347 of LCAT may play an important role in HDL cholesterol esterification, suggesting that these regions may contain a portion of the LCAT binding domain(s) for HDL. Platelet-derived growth factor promotes smooth muscle migration and intimal thickening in a rat model of balloon angioplasty. Citation Information: J Clin Invest. 1992;89(2):507-511. https://doi.org/10.1172/JCI115613. Platelet-derived growth factor (PDGF) is a mitogen and chemoattractant for vascular smooth muscle cells (SMC) in vitro, but its activities in vivo remain largely undefined. We infused recombinant PDGF-BB (0.01-0.30 mg/kg per d i.v.) into rats subjected to carotid injury. PDGF-BB produced a small increase (two- to threefold) in medial SMC proliferation. More importantly, PDGF-BB greatly increased (20-fold) the intimal thickening and the migration of SMC from the media to the intima during the first 7 d after injury. These data provide support for the hypothesis that PDGF, and perhaps other platelet factors, might play an important role in the movement of mesenchymal cells into zones of injury undergoing repair. Prevention of diabetes in BB/Wor rats by intrathymic islet injection. Citation Information: J Clin Invest. 1992;89(2):512-516. https://doi.org/10.1172/JCI115614. Tubular antigen-binding proteins repress transcription of type IV collagen in the autoimmune target epithelium of experimental interstitial nephritis. Citation Information: J Clin Invest. 1992;89(2):517-523. https://doi.org/10.1172/JCI115615. We have been studying immune interactions with somatic cells using a tubular antigen-binding protein (ThF) secreted by helper T lymphocytes harvested from mice that have an autoimmune form of interstitial nephritis called anti-tubular basement membrane disease. This ThF, although characterized originally because of its ability to induce effector T cells, additionally recognizes the nephritogenic 3M-1 antigen expressed by its target renal tubular epithelium. We believe these proteins, in general, may modulate directly some homeostatic functions in organ-derived cells, and now report that our ThF represses specifically the cellular transcription and secretion of basement membrane type IV collagen in tubular epithelium. These in vitro findings of reduced levels of mRNA encoding type IV collagen correlate well with in situ hybridization studies performed on kidneys expressing early autoimmune lesions, and predict a progressive drop in the expression of type IV collagen in the interstitium. Such a novel and unexpected repression of transcription of type IV collagen might easily impart or facilitate permanent change in the infrastructure of kidney architecture during autoimmune injury and, perhaps, contributes to the process of tubular atrophy attendant to prolonged renal inflammation. Regulation of intestinal lactase in adult hypolactasia. Citation Information: J Clin Invest. 1992;89(2):524-529. https://doi.org/10.1172/JCI115616. Relative deficiency of intestinal lactase activity during adulthood, adult hypolactasia, is a common condition worldwide. We studied the regulation of lactase-phlorizin hydrolase in normal and adult hypolactasic subjects by correlating transcript abundance in intestinal biopsies with relative synthetic rates for the protein in cultured intestinal explants. After metabolic labelling studies in six subjects, precursor lactase-phlorizin hydrolase was identified in amounts directly proportional to the enzyme-specific activity suggesting that levels of intestinal lactase are regulated by synthetic rate. Total intestinal RNA was extracted from biopsies of these subjects and three hypolactasic adults who had participated in previous biosynthesis studies. Transcript levels were markedly reduced in deficient subjects who demonstrated diminished lactase-phlorizin hydrolase synthesis. The sequence of 1 kb of 5'-flanking region of the lactase-phlorizin hydrolase gene was determined in two hypolactasic subjects and two controls. No sequence variability was identified to account for differences in mRNA levels or biosynthetic rates between the two groups. A single hypolactasic subject previously characterized as demonstrating delayed posttranslational processing, showed message levels intermediate between other deficients and controls. These results suggest that in the majority of our subjects, pretranslational mechanisms account for the predominate regulatory control of lactase-phlorizin hydrolase expression in the proximal intestine. Calcium and potassium are important regulators of barrier homeostasis in murine epidermis. Citation Information: J Clin Invest. 1992;89(2):530-538. https://doi.org/10.1172/JCI115617. Topical solvent treatment removes lipids from the stratum corneum leading to a marked increase in transepidermal water loss (TEWL). This disturbance stimulates a variety of metabolic changes in the epidermis leading to rapid repair of the barrier defect. Using an immersion system we explored the nature of the signal leading to barrier repair in intact mice. Initial experiments using hypotonic to hypertonic solutions showed that water transit per se was not the crucial signal. However, addition of calcium at concentrations as low as 0.01 mM inhibited barrier repair. Moreover, both verapamil and nifedipine, which block calcium transport into cells, prevented the calcium-induced inhibition of TEWL recovery. Additionally, trifluoroperazine or N-6-aminohexyl-5-chloro-1-naphthalenesulfonamide, which inhibit calmodulin, prevented the calcium-induced inhibition of TEWL recovery. Although these results suggest an important role for calcium in barrier homeostasis, calcium alone was only modestly effective in inhibiting TEWL recovery. Potassium alone (10 mM) and phosphate alone (5 mM) also produced a modest inhibition of barrier repair. Together, however, calcium and potassium produced a synergistic inhibition of barrier repair (control 50% recovery vs. calcium + potassium 0-11% recovery in 2.5 h). Furthermore, in addition to inhibiting TEWL recovery, calcium and potassium also prevented the characteristic increase in 3-hydroxy-3-glutaryl CoA reductase activity that occurs after barrier disruption. Finally, the return of lipids to the stratum corneum was also blocked by calcium and potassium. These results demonstrate that the repair of the epidermal permeability barrier after solvent disruption can be prevented by calcium, potassium, and phosphate. The repair process may be signalled by a decrease in the concentrations of these ions in the upper epidermis resulting from increased water flux leading to passive loss of these ions. Prediction of relapse or survival after resection in human hepatomas by DNA flow cytometry. Citation Information: J Clin Invest. 1992;89(2):539-545. https://doi.org/10.1172/JCI115618. To investigate the change of DNA content and the effect of synthetic phase (S-phase) fraction on hepatocytes and hepatomas, DNA content and S-phase fraction were measured by flow cytometry in human livers and hepatoma tissues. The ploidy status of nontumor parts of resected hepatoma, fetal liver, and focal nodular hyperplasia were diploid, similar to that of the normal liver. Three patterns of DNA ploidy in human hepatoma cells were newly classified, namely, pattern I, diploid tumors; pattern II, aneuploid tumors with single G0/G1 peak; and pattern III, aneuploid tumors with more than one G0/G1 peaks. Among the 130 resectable hepatomas measured for DNA ploidy status, 84 (64.6%) were pattern I, 20 (15.4%) pattern II, and 26 (20%) pattern III. Multivariate analyses for those 130 patients who underwent hepatic resection showed that, in addition to tumor size, DNA ploidy was another prognostic factor in predicting overall survival and disease-free survival. Patients with small tumors (less than 5 cm) had a significantly higher overall survival rate than those with large tumor (greater than 5 cm). Patients with pattern III hepatomas had a significantly lower overall survival rate and a higher recurrent rate than did those with pattern I or pattern II tumors. The S-phase fraction was a significant predictor of overall survival rate in patients with pattern II, but not with pattern I, tumors. We conclude that DNA flow-cytometric measurements of ploidy and S-phase fraction are potential important prognostic predictors in patients with resectable hepatomas. Thromboerythrocytes. In vitro studies of a potential autologous, semi-artificial alternative to platelet transfusions. Citation Information: J Clin Invest. 1992;89(2):546-555. https://doi.org/10.1172/JCI115619. In an attempt to overcome the limitations and drawbacks of using fresh platelets for transfusion therapy of thrombocytopenic patients, we have performed in vitro experiments on an autologous, semi-artificial alternative to platelet transfusions. Based on our previous studies of the interactions of unactivated and activated platelets with beads coated with peptides of various lengths, all of which contained the arginine-glycine-aspartic acid (RGD) cell recognition sequence, the peptide Ac-CGGRGDF-NH2 was chosen for covalent coupling to erythrocytes. A heterobifunctional crosslinking reagent (N-maleimido-6-aminocaproyl ester of 1-hydroxy-2-nitrobenzene-4-sulfonic acid) was used to crosslink via the peptide's free sulfhydryl group and the erythrocyte's surface amino groups. Approximately 0.5-1.5 x 10(6) peptide molecules bound per erythrocyte after 2 h of incubation, and most of the peptides appeared to crosslink to glycophorin A. The resulting cells, termed thromboerythrocytes, interacted selectively with activated platelets to form mixed aggregates. Studies with fluid phase RGD peptides and monoclonal antibodies indicated that the RGD peptides on the thromboerythrocytes interacted with the GPIIb/IIIa receptors on activated platelets. Thromboerythrocytes could also bind to platelets adherent to collagen. There was minimal erythrocyte hemolysis during the formation of thromboerythrocytes and studies of thromboerythrocyte osmotic fragility and cellular deformability showed no significant changes from control erythrocytes. Whereas there is a 20:1 ratio of erythrocytes to platelets in the circulation of normal individuals, the erythrocytes from as little as 50 ml of blood could be transformed into the equivalent of 2 U of platelets by numbers (equivalent to 18 U of platelets by mass), and reinfused into the same individual within several hours. These data encourage us to proceed to in vivo studies to assess the hemostatic efficacy of thromboerythrocytes in thrombocytopenic animals. T cell receptor-independent immunosuppression induced by dexamethasone in murine T helper cells. Citation Information: J Clin Invest. 1992;89(2):556-560. https://doi.org/10.1172/JCI115620. The immune and inflammatory responses are largely inhibited by glucocorticosteroids. In thymocytes, for example, glucocorticosteroids cause apoptosis, whereas they suppress the activity of phospholipase A2 and the production of eicosanoids in tissues actively engaged in inflammation. The immunosuppressive action of dexamethasone (DEX) was studied in vitro by employing a model cell system, namely the murine Th2 clone D10.G4.1 (D10) and its clonotypic anti-T cell receptor (TCR) mAb 3D3. Although the proliferative response of D10 cells to 3D3 stimulation was not affected by DEX, the costimulation provided by IL-1 was dramatically inhibited. Substitution of 3D3 by exogenous IL-4 (as the IL-1 costimulant) failed to prevent the inhibition of proliferation caused by DEX. Yet, when 3D3-mediated stimulation of TCR was supplemented with IL-2, D10 cells were capable of proliferating, even in the presence of DEX. Thus, TCR stimulation on D10 cells remained intact and their resulting propagation was not compromised by DEX treatment. These results provide evidence that immunosuppression caused by DEX is TCR independent and involves an early cytokine-signalling event. Human immunodeficiency virus infection induces both polyclonal and virus-specific B cell activation. Citation Information: J Clin Invest. 1992;89(2):561-566. https://doi.org/10.1172/JCI115621. Peripheral blood lymphocytes (PBL) were obtained from HIV-1-infected patients at different stages of disease. The absolute number of IgM-, IgG-, and IgA-producing lymphocytes per 10(6) PBL was increased 2.8-, 3.4-, and 1.9-fold, respectively, compared with normal controls. 2-17% of IgG-secreting patient cells reacted with the gp160 envelope glycoprotein of HIV-1 (a 737-fold increase over background), while 1-9% reacted with p24 (140-fold over background). In addition to this HIV-specific B cell activation, the number of lymphocytes reactive with nonviral antigens such as DNA, myosin, actin, trinitrophenylated keyhole limpet hemocyanin, and ovalbumin was increased by a mean of 17.9-fold. Evidence suggests that the latter changes reflect an HIV-induced polyclonal B cell activation unrelated to the production of anti-HIV antibodies. For example, the proportion of IgG anti-gp160- and anti-p24-secreting lymphocytes declined in patients with advanced disease, whereas the number of B cells producing antibodies to non-HIV antigens rose. Moreover, CD4 cell count and T4/T8 ratio showed a significant inverse correlation with the degree of polyclonal activation but not with anti-HIV responsiveness. These observations demonstrate that both quantitative and qualitative changes in B cell activation accompany (and may be predictive of) disease progression in HIV-infected individuals. Citation Information: J Clin Invest. 1992;89(2):567-573. https://doi.org/10.1172/JCI115622. Mutations affecting the pro alpha 1(I) or pro alpha 2(I) collagen genes have been identified in each of the major clinical types of osteogenesis imperfecta. This study reports the presence of a heritable connective tissue disorder in a family with an osteopenic syndrome which has features of mild osteogenesis imperfecta but was considered idiopathic osteoporosis in the proband. At age 38, while still premenopausal, she was found to have osteopenia, short stature, hypermobile joints, mild hyperelastic skin, mild scoliosis, and blue sclerae. There was no history of vertebral or appendicular fracture. Hip and vertebral bone mineral density measurements were consistent with marked fracture risk. Delayed reduction SDS-PAGE of pepsin-digested collagens from dermal fibroblast cultures demonstrated an anomalous band migrating between alpha 1(I) and alpha 1(III). This band merged with the normal alpha-chains upon prereduction, indicating an unexpected cysteine residue. Cyanogen bromide peptide mapping suggested that the mutation was in the smaller NH2-terminal peptides. cDNA was reverse transcribed from mRNA and amplified by the polymerase chain reaction. A basepair mismatch between proband and control alpha 1(I) cDNA hybrids was detected by chemical cleavage with hydroxylamine:piperidine. The cysteine substitution was thus localized to alpha 1(I) exon 9 within the cyanogen bromide 4 peptide. Nucleotide sequence analysis localized a G----T point mutation in the first position of helical codon 43, replacing the expected glycine (GGT) residue with a cysteine (TGT). The prevalence of similar NH2-terminal mutations in subjects with this phenotype which clinically overlaps idiopathic osteoporosis remains to be determined. Human cytomegalovirus-stimulated peripheral blood mononuclear cells induce HIV-1 replication via a tumor necrosis factor-alpha-mediated mechanism. Citation Information: J Clin Invest. 1992;89(2):574-580. https://doi.org/10.1172/JCI115623. Human cytomegalovirus (HCMV) is a potential cofactor in HIV-1 infection. To investigate the mechanism whereby HCMV promotes HIV-1 replication, a PBMC coculture assay which measures HIV-1 p24 antigen release was used as an index of viral replication. HCMV-stimulated PBMC were capable of inducing HIV-1 replication in cocultures with acutely infected PBMC; however, this occurred only when the PBMC were from HCMV-seropositive donors (598 +/- 207 versus 27 +/- 10 pg/ml p24 antigen with PBMC from HCMV-seronegative donors on day 6 of coculture). Upon stimulation with HCMV, PBMC obtained exclusively from HCMV-seropositive donors released tumor necrosis factor (TNF)-alpha (270 +/- 79 pg/ml at 18 h of culture). Monoclonal antibodies to TNF-alpha blocked the activity of HCMV-stimulated PBMC in cocultures both with acutely HIV-1-infected PBMC and with the chronically infected promonocytic line U1. Also, treatment of HCMV-stimulated PBMC with pentoxifylline, an inhibitor of TNF-alpha mRNA, markedly reduced HIV-1 replication in cocultures both with acutely and chronically infected cells. These results indicate that TNF-alpha is a key mediator of HIV-1 replication induced by HCMV-stimulated PBMC and support the concept that this cytokine plays an important role in the pathogenesis of HIV-1 infection. Molecular studies on primary lipoprotein lipase (LPL) deficiency. One base deletion (G916) in exon 5 of LPL gene causes no detectable LPL protein due to the absence of LPL mRNA transcript. Citation Information: J Clin Invest. 1992;89(2):581-591. https://doi.org/10.1172/JCI115624. We have systematically investigated a genetic defect resulting in a primary lipoprotein lipase (LPL) deficiency in a proband TN and his affected brother SN, both manifesting familial hyperchylomicronemia. Neither LPL activity nor immunoreactive LPL mass was detected in postheparin plasma from the two patients. Immunocytochemical and biosynthetic studies on the proband's monocyte-derived macrophages with rabbit anti-human LPL antiserum revealed that no immunochemically detectable LPL protein was found in either the cells or culture medium, whereas LPL having a molecular mass of 61 kD was detected in normal cells. No detectable LPL mRNA was identified from poly(A)+RNA of the proband's macrophages by Northern blot analysis, and grossly visible LPL gene rearrangement was not observed by Southern blot analysis. Sequence analysis of polymerase chain reaction-amplified LPL gene exons detected one base deletion of G (first position of Ala221) at base 916 in exon 5 which leads to a premature termination by a frameshift. This mutation, designated as LPLArita and resulting in the loss of an AluI restriction enzyme site, was newly identified. We further analyzed the LPL gene from the two patients and their family members by digestion with AluI. Both patients were homozygous for LPLArita allele, while their spouses did not have this mutation. As genetically expected, their children were all heterozygous for LPLArita. We conclude that primary LPL deficiency in the proband was caused by a lack of enzyme synthesis due to the absence of LPL mRNA resulting from one base deletion of G in exon 5, and that heterozygous LPLArita deficient subjects show almost half value of control LPL mass. Citation Information: J Clin Invest. 1992;89(2):592-601. https://doi.org/10.1172/JCI115625. To characterize the autoantigen of Goodpasture's (anti-glomerular basement membrane) disease, a molecule of 26-kD reactive with autoantibodies from patients' sera was purified from collagenase digests of sheep glomerular basement membrane. Short internal amino acid sequences were obtained after tryptic or cyanogen bromide cleavage, and used to deduce redundant oligonucleotides for use in the polymerase chain reaction on cDNA derived from sheep renal cortex. Molecules of 175 bp were amplified and found to come from two cDNA sequences. One was identical to that of a type IV collagen chain (alpha 5) cloned from human placenta and shown to be expressed in human kidney. The other was from a type IV collagen chain with close similarities to alpha 1 and alpha 5 chains, and was used to obtain human cDNA sequences by cDNA library screening and by further polymerase chain reaction amplifications. The correspondence of the derived amino acid sequence of the new chain with published protein and cDNA sequences shows it to be the alpha 3 chain of type IV collagen. Its gene, COL4A3, maps to 2q36-2q37. The primary sequence and other characteristics of this chain confirm that it carries the Goodpasture antigen. Neutrophil adherence to isolated adult cardiac myocytes. Induction by cardiac lymph collected during ischemia and reperfusion. Citation Information: J Clin Invest. 1992;89(2):602-609. https://doi.org/10.1172/JCI115626. Canine neutrophils can be induced to adhere in vitro to isolated adult cardiac myocytes by stimulation of the neutrophils with chemotactic factors such as zymosan-activated serum (ZAS) only if the myocytes have been previously exposed to cytokines such as interleukin 1 (IL-1) or tumor necrosis factor-alpha. These cytokines induce synthesis and surface expression of intercellular adhesion molecule-1 (ICAM-1) on the myocyte, and neutrophil adhesion is almost entirely CD18 and ICAM-1 dependent. The present study examines cardiac-specific lymph collected from awake dogs during 1-h coronary occlusion and 3 d of reperfusion for its ability to induce both ICAM-1 expression in cardiac myocytes, and neutrophil-myocyte adherence. Reperfusion lymph induced ICAM-1 expression in isolated myocytes, and myocyte adherence to ZAS-stimulated neutrophils that was completely inhibited by anti-CD18 and anti-ICAM-1 monoclonal antibodies. This activity peaked at 90 min of reperfusion and persisted for up to 72 h. Preischemic lymph was not stimulatory. IL-1 appeared not to be a stimulating factor in lymph in that dilutions of lymph were found to inhibit the stimulatory effects of recombinant IL-1 beta. However, investigation of interleukin 6 (IL-6) revealed that recombinant IL-6 stimulated myocyte adhesiveness for ZAS-stimulated neutrophils (ED50 = 0.002 U/ml) and expression of ICAM-1 by isolated myocytes. IL-6 neutralizing antibody markedly reduced the ability of reperfusion lymph to stimulate adhesion and ICAM-1 expression, and estimates of levels of IL-6 in reperfusion lymph ranged from 0.035 to 0.14 U/ml. These results indicate that cytokines capable of promoting neutrophil-myocyte adhesion occur in extracellular fluid during reperfusion of ischemic myocardium, and that one of these cytokines is IL-6. Neutrophil-myocyte adhesion may be of pathogenic significance because it may enhance the cytotoxic activity of the neutrophil. Citation Information: J Clin Invest. 1992;89(2):610-617. https://doi.org/10.1172/JCI115627. Insulin-stimulated glycogen synthase activity in human muscle is reduced in insulin-resistant subjects. Insulin regulation of human muscle glycogen synthase may require activation of a type-1 protein phosphatase (PP-1). We investigated the change of phosphorylase phosphatase and glycogen synthase activities in muscle biopsies obtained during a 2-h hyperinsulinemic euglycemic clamp in 12 insulin-sensitive (group S) and 8 insulin-resistant (group R) subjects. Fasting phosphorylase phosphatase activity was lower in group R than in group S, and did not increase significantly with insulin infusion in group R until 20 min. In group S, phosphorylase phosphatase was significantly stimulated by 10 min, remaining significantly higher than in group R at all time points. The insulin-mediated changes in phosphatase activities were not decreased by 3 nM okadaic acid but were completely inhibited by 1 microM okadaic acid, thereby verifying that insulin-stimulated phosphorylase phosphatase is accounted for by a PP-1. Subcellular fractionation demonstrated reduced fasting PP-1 activities in both the glycogen and cytosolic fractions of muscle obtained from subjects in group R compared to those in group S. These results suggest that insulin activation of PP-1 could contribute to the stimulation of glycogen synthase by this hormone in human muscle. Lower fasting PP-1 activity in cytosol and glycogen fractions plus lower insulin-stimulated PP-1 activity could explain, in part, reduced insulin-stimulated glycogen synthase in skeletal muscle of insulin-resistant subjects. Chronic coronary artery constriction leads to moderate myocyte loss and left ventricular dysfunction and failure in rats. Citation Information: J Clin Invest. 1992;89(2):618-629. https://doi.org/10.1172/JCI115628. Coronary artery narrowing, ranging from 19% to 61%, was induced in rats and ventricular performance, myocardial damage, and myocyte hypertrophy were examined 1 mo later. Animals were separated into two groups, exhibiting ventricular dysfunction and failure, respectively. Dysfunction consisted of a 2.4-fold increase in left ventricular end diastolic pressure (LVEDP), 15% decrease in left ventricular peak systolic pressure (LVPSP), 24% reduction in developed pressure (DP), and a 16% depression in-dP/dt. Failure was defined on the basis of a 4.7-fold elevation in LVEDP, and a 26%, 47%, 45%, and 41% decrease in LVPSP, DP, +dP/dt, and -dP/dt. Moreover, in this group, right ventricular end diastolic and systolic pressures increased 5.5- and 1.2-fold. Left and right ventricular weights expanded 23% and 51% with dysfunction and 30% and 56% with failure. Left ventricular hypertrophy was characterized by ventricular dilation and wall thinning which were more severe in the failing animals. Foci of damage were found in both groups but tissue injury was more prominent in the endomyocardium and in failing rats. Finally, myocyte loss in the ventricle was 10% and 20% with dysfunction and failure whereas the corresponding enlargements of the unaffected myocytes were 34% and 53%. Thus, coronary narrowing led to abnormalities in cardiac dynamics with an increase in diastolic wall stress and extensive ventricular remodeling in spite of a moderate loss of myocytes and compensatory reactive hypertrophy of the viable cells. Pathobiology of cast nephropathy from human Bence Jones proteins. Citation Information: J Clin Invest. 1992;89(2):630-639. https://doi.org/10.1172/JCI115629. Renal failure is a common accompaniment of multiple myeloma and is usually due to cast nephropathy, or "myeloma kidney." To understand this lesion, four human Bence Jones proteins (BJP) were purified from the urine of volunteers who had either no evidence of renal dysfunction (BJP1) or renal failure from cast nephropathy (BJP2, BJP3, BJP4). When infused directly into the rat nephron in vivo, BJP2, BJP3, and BJP4 produced intraluminal obstruction by precipitating in the distal nephron; protein casts were never identified before the tip of the loop of Henle. Obstruction was related to the concentration of BJP in the perfusate. Addition of furosemide to the perfusate augmented obstruction in a concentration-dependent fashion. Pretreatment of rats with colchicine completely prevented obstruction and cast formation of perfused nephrons; beta-lumicolchicine did not prevent obstruction. Tamm-Horsfall glycoprotein purified from beta-lumicolchicine-treated and untreated rats coaggregated with BJP3 in vitro. Tamm-Horsfall glycoprotein from colchicine-treated rats did not contain sialic acid and did not aggregate with BJP3 in vitro. Thus, cast-forming human BJP coaggregated with Tamm-Horsfall glycoprotein and obstructed the rat distal nephron. Intranephronal obstruction was aggravated by decreasing extracellular fluid volume or adding furosemide. Finally, by decreasing secretion and altering the carbohydrate moiety of Tamm-Horsfall glycoprotein, colchicine prevented intraluminal cast formation and obstruction of the rat nephron. Hereditary and acquired p53 gene mutations in childhood acute lymphoblastic leukemia. Citation Information: J Clin Invest. 1992;89(2):640-647. https://doi.org/10.1172/JCI115630. The p53 gene was examined in primary lymphoblasts of 25 pediatric patients with acute lymphoblastic leukemia by the RNase protection assay and by single strand conformation polymorphism analysis in 23 of 25 cases. p53 mutations were found to occur, but at a low frequency (4 of 25). While all four mutations were identified by single strand conformation polymorphism, the comparative sensitivity of RNase protection was 50% (2 of 4). Heterozygosity was retained at mutated codons in 3 of 4 cases. One pedigree was consistent with the Li-Fraumeni syndrome, and bone marrow from both diagnosis and remission indicated a germline G to T transversion at codon 272 (valine to leucine). Although members of another family were affected with leukemia, a 2-bp deletion in exon 6 was nonhereditary. The other two nonhereditary p53 mutations included a T to G transversion at codon 270 (phenylalanine to cysteine) and a G to C transversion at codon 248 (arginine to proline). These data support the role of both hereditary and acquired p53 mutations in the pathogenesis and/or progression of some cases of childhood acute lymphoblastic leukemia. Binding of Pseudomonas cepacia to normal human intestinal mucin and respiratory mucin from patients with cystic fibrosis. Citation Information: J Clin Invest. 1992;89(2):648-656. https://doi.org/10.1172/JCI115631. Although not as prevalent as Pseudomonas aeruginosa, Pseudomonas cepacia is another opportunistic pathogen which colonizes the lungs of at least some patients with cystic fibrosis. A subgroup of these patients exhibits the "cepacia syndrome", i.e., a rapid clinical deterioration and death within one year. To investigate potential early sites of bacterial attachment, we have measured the specific binding of P. cepacia isolates from cystic fibrosis (CF) sputa to both CF and non-CF mucins purified from respiratory and intestinal secretions, respectively. As shown in microtiter binding assays, clinical isolates from 19/22 patients were found to bind to both mucins, with the highest specific binding exhibited by isolates from eight patients, seven of whom later died with the cepacia syndrome. No differences were observed in the binding capacity of the two (CF versus non-CF) mucins. Binding was specific, saturable, and not influenced by tetramethylurea, a disruptor of hydrophobic associations. Individual sugars were ineffective as hapten inhibitors, as were several lectins. Mucins treated by reduction/alkylation or chloroform/methanol extraction showed enhanced bacterial binding, findings which were attributed to exposure of underlying binding sites. Deglycosylation procedures indicated that mucin receptors for P. cepacia include N-acetylglucosamine and N-acetylgalactosamine, probably linked together as part of core oligosaccharide structures. P. cepacia isolates also bound to buccal epithelial cells, and mucin partially inhibited the binding of those isolates of P. cepacia that also had the ability to bind to mucin. We speculate that specific binding of P. cepacia to secreted mucins may be an early step in the pathogenesis of the cepacia syndrome. Binding of nonmucoid Pseudomonas aeruginosa to normal human intestinal mucin and respiratory mucin from patients with cystic fibrosis. Citation Information: J Clin Invest. 1992;89(2):657-665. https://doi.org/10.1172/JCI115632. Lung infections due to Pseudomonas aeruginosa and Pseudomonas cepacia are common in patients with cystic fibrosis. Initial colonization is due to nonmucoid P. aeruginosa, while later mucoid variants emerge and are associated with chronic infection. P. cepacia colonization tends to be more prevalent in older patients. 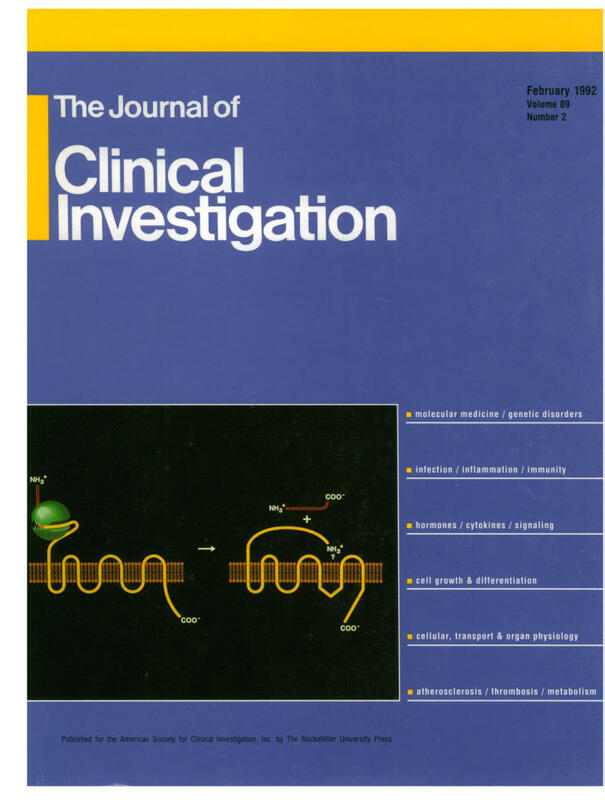 The present study was conducted to discover whether highly purified mucins (from cystic fibrosis sputum and control intestinal secretions) exhibited specific binding of nonmucoid P. aeruginosa. In vitro solid phase microtiter binding assays (with or without a blocking agent) as well as solution phase assays were conducted. Bacteria bound to both mucins via bacterial pili, but no differences in binding capacity were noted between the mucins. Unlike P. cepacia (described in the accompanying manuscript) there was also no preferential binding of P. aeruginosa to mucins versus bovine serum albumin, casein, gelatin, or a host of structurally unrelated proteins and glycoproteins. Carbohydrate hapten inhibition studies did not suggest the existence of specific mucin carbohydrate receptors for P. aeruginosa. In solid phase assays a low concentration (0.05 M) of tetramethylurea abolished P. aeruginosa bacterial binding to both mucins as well as to BSA, whereas in solution phase assays mucin binding to bacteria was not completely disrupted by tetramethylurea. Specific monoclonal antipilus antibodies did not inhibit binding to a greater extent than did Fab fragments of normal mouse IgG. Binding of strains PAO1 and PAK (and isolated PAK pili) to buccal epithelial cells was not influenced by the presence of mucin in binding assay mixtures. Our findings do not support the widely held notion that specific mucin receptors are responsible for the attachment of P. aeruginosa pili, nor do they support the idea that there is a competitive interference by mucins of bacterial binding to respiratory cells. In patients with cystic fibrosis, it would seem unlikely therefore that initial colonization of the lungs by P. aeruginosa is due to a 'selective tropism' of these bacteria for respiratory mucin. Recovery of energy metabolism in rat brain after carbon monoxide hypoxia. Citation Information: J Clin Invest. 1992;89(2):666-672. https://doi.org/10.1172/JCI115633. Carbon monoxide (CO) may inhibit mitochondrial electron transport in the brain and increase the toxic effects of the gas. This hypothesis was investigated in anesthetized rats during CO exposure and recovery at either normobaric or hyperbaric O2 concentrations. During exposure and recovery, we measured the oxidation level of cerebrocortical cytochrome c oxidase by differential spectroscopy and biochemical metabolites known to reflect aerobic energy provision in the brain. CO exposure (HbCO = 71 +/- 1%) significantly decreased blood pressure and cytochrome oxidation level. Cerebral ATP was maintained while lactate/pyruvate, glucose, and succinate rose, and phosphocreatine (PCr) fell, relative to control (P less than 0.05). Intracellular pH (pHi) calculated from the PCr equilibrium also declined during the exposures. During recovery, HbCO fell more rapidly at hyperbaric than at normobaric O2 levels, but returned to 10% or less in both groups by 45 min. Cytochrome oxidation state improved to 80% of control after 90 min at normobaric O2, but recovered completely after hyperbaric O2 (P less than 0.05). In normobaric O2, PCr and pHi continued to fall for 45 min after CO exposure and did not recover completely by 90 min. PCr and pHi in animals after hyperbaric O2 improved within 45 min, but also remained below control at 90 min. These data indicate that intracellular uptake of CO can impair cerebral energy metabolism, despite the elimination of HbCO from the blood. Selective induction of rheumatoid factors by superantigens and human helper T cells. Citation Information: J Clin Invest. 1992;89(2):673-680. https://doi.org/10.1172/JCI115634. Production of autoantibodies specific for the Fc region of autologous IgG, called rheumatoid factors (RF), is a characteristic finding in patients with rheumatoid arthritis (RA). To study the requirements regulating the synthesis of these autoantibodies, we have cloned human helper T cells and co-cultured them with purified B cells. To mimic cognate T-B cell interaction, we have used bacterial superantigens that function by cross-linking HLA molecules on the B cell with selected T cell receptor (TCR) molecules expressing a particular polymorphism of the V beta gene segment. Data presented here demonstrate that the staphylococcal enterotoxin D (SE D), but not other bacterial superantigens, exhibits an ability to induce IgM, IgG, and especially RF production, in B cells from RA patients and normal individuals. Comparison with the polyclonal antibody production in B cell cultures driven by anti-CD3-stimulated T cell clones confirmed that SE D shifted the repertoire of secreted antibodies toward immunoglobulins with Fc binding specificity, suggesting that SE D preferentially stimulates RF+ B lymphocytes. B cells with the potential to secrete RF were highly frequent in RA patients, requiring as few as 150 peripheral B cells/culture to detect RF in the culture supernatants. SE D-induced RF synthesis was strictly dependent on the presence of selected CD4+T helper cells and required a direct membrane contact between B cells and T helper cells. Here, we propose a model that SE D selectively induces RF production depending on the availability of SE D responsive T cells in the TCR repertoire of the responder. T cell receptor repertoire of infiltrating T cells in lips of Sjögren's syndrome patients. Citation Information: J Clin Invest. 1992;89(2):681-685. https://doi.org/10.1172/JCI115635. Infiltrating T cells around salivary glands in the lips of Sjögren's syndrome (SjS) patients are crucial in the pathogenesis of this disease. To analyze the nature of infiltrating T cells, their T cell receptor repertoire was examined with quantitative polymerase chain reaction. The repertoire of V beta transcripts in lips of SjS was not restricted; however, the V beta 2 and V beta 13 genes were predominantly expressed on the T cells of lip specimens in six and four of seven lips, respectively. Predominance of these genes was specific in lips because no predominant V beta transcripts were found in lips from healthy subjects and PBLs from SjS patients. These results indicated that the V beta 2- and V beta 13-positive T cells expanded specifically and preferentially in SjS lips, thereby suggesting the possible role in triggering the autoimmunity of this disease. Molecular basis for membrane rigidity of hereditary ovalocytosis. A novel mechanism involving the cytoplasmic domain of band 3. Citation Information: J Clin Invest. 1992;89(2):686-692. https://doi.org/10.1172/JCI115636. Hereditary ovalocytic red cells are characterized by a marked increase in membrane rigidity and resistance to invasion by malarial parasites. The underlying molecular defect in ovalocytes remained a mystery until Liu and colleagues (N. Engl. J. Med. 1990. 323:1530-38) made the surprising observation that the ovalocytic phenotype was linked to a structural polymorphism in band 3, the anion transporter. We have now defined the mutation in band 3 gene and established the biophysical sequelae of this mutation. This mutation involves the deletion of amino-acids 400-408 in the boundary between the cytoplasmic and the first transmembrane domains of band 3. The biophysical consequences of this mutation are a marked decrease in lateral mobility of band 3 and an increase in membrane rigidity. Based on these findings, we propose the following model for increased membrane rigidity. The mutation induces a conformational change in the cytoplasmic domain of band 3, leading to its entanglement in the skeletal protein network. This entanglement inhibits the normal unwinding and stretching of the spectrin tetramers necessary for membrane extension, leading to increased rigidity. These findings imply that the cytoplasmic domain of an integral membrane protein can have profound effects on membrane material behavior. Congenital erythropoietic porphyria: identification and expression of exonic mutations in the uroporphyrinogen III synthase gene. Citation Information: J Clin Invest. 1992;89(2):693-700. https://doi.org/10.1172/JCI115637. Congenital erythropoietic porphyria (CEP), an inborn error of heme biosynthesis, results from the deficient activity of uroporphyrinogen III synthase (URO-synthase). This autosomal recessive disorder is heterogeneous; patients with severe disease are often transfusion dependent, while milder patients primarily have cutaneous involvement. To investigate this phenotypic heterogeneity, exonic point mutations in the URO-synthase gene were identified in unrelated CEP patients. Four missense mutations were identified: (a) an A to G transition of nucleotide (nt) 184 that predicted a Thr to Ala substitution at residue 62 (designated T62A); (b) a C to T transition of nt 197 that encoded an Ala to Val replacement at residue 66 (A66V); (c) a T to C transition of nt 217 that predicted a Cys to Arg substitution at residue 73 (C73R); and (d) a C to T transition of nt 683 that resulted in a Thr to Met replacement at residue 228 (T228M). In addition, a G to A transition of nt 27 that did not change the encoded amino acid (A9A) was detected in an African patient. The T62A, C73R, and T228M alleles did not express detectable enzymatic activity, while the A66V allele expressed residual, but unstable activity. The C73R allele was present in eight of 21 unrelated CEP patients (21% of CEP alleles). In three patients, identification of both alleles permitted genotype-phenotype correlations; the A66V/C73R, T228M/C73R, and C73R/C73R genotypes had mild, moderately severe, and severe disease, respectively. These findings provide the first genotype-phenotype correlations and permit molecular heterozygote detection in this inherited porphyria. Citation Information: J Clin Invest. 1992;89(2):701-705. https://doi.org/10.1172/JCI115638. A major defect contributing to impaired insulin action in human obesity is reduced glucose transport activity in skeletal muscle. This study was designed to determine whether the improvement in whole body glucose disposal associated with weight reduction is related to a change in skeletal muscle glucose transport activity and levels of the glucose transporter protein GLUT4. Seven morbidly obese (body mass index = 45.8 +/- 2.5, mean +/- SE) patients, including four with non-insulin-dependent diabetes mellitus (NIDDM), underwent gastric bypass surgery for treatment of their obesity. In vivo glucose disposal during a euglycemic clamp at an insulin infusion rate of 40 mU/m2 per min was reduced to 27% of nonobese controls (P less than 0.01) and improved to 78% of normal after weight loss of 43.1 +/- 3.1 kg (P less than 0.01). Maximal insulin-stimulated glucose transport activity in incubated muscle fibers was reduced by approximately 50% in obese patients at the time of gastric bypass surgery but increased twofold (P less than 0.01) to 88% of normal in five separate patients after similar weight reduction. Muscle biopsies obtained from vastus lateralis before and after weight loss revealed no significant change in levels of GLUT4 glucose transporter protein. These data demonstrate conclusively that insulin resistance in skeletal muscle of mobidly obese patients with and without NIDDM cannot be causally related to the cellular content of GLUT4 protein. The results further suggest that morbid obesity contributes to whole body insulin resistance through a reversible defect in skeletal muscle glucose transport activity. The mechanism for this improvement may involve enhanced transporter translocation and/or activation. Apolipoprotein E prevents the progression of atherosclerosis in Watanabe heritable hyperlipidemic rabbits. Citation Information: J Clin Invest. 1992;89(2):706-711. https://doi.org/10.1172/JCI115639. Apo E plays an important role in plasma lipoprotein metabolism through its high affinity binding to cell surface LDL receptor. In the present study, we studied the effects of apo E on the atherogenic process in Watanabe heritable hyperlipidemic rabbits which are deficient in LDL receptor and an animal model for familial hypercholesterolemia. We isolated apo E from plasma of 1% cholesterol-fed rabbits and administered 10 mg of purified apo E intravenously into five Watanabe heritable hyperlipidemic rabbits three times a week from their age of 2.5 months to 11 months for 8.5 months. After sustained administration to apo E, we found a significant reduction in the accumulation of cholesterol ester in aortae (1.55 +/- 0.07 mg/g tissue) as compared to control rabbits (4.32 +/- 0.61 mg/g tissue). Supporting this, the percentage of the surface area of the aorta with macroscopic plaque was remarkably decreased in apo E-treated animals (18.8 +/- 5.1% vs. 38.8 +/- 8.0% in control). Thus, apo E definitely prevented the progression of atherosclerosis in Watanabe heritable hyperlipidemic rabbits. Are cysteine-rich and COOH-terminal domains of dystrophin critical for sarcolemmal localization? Citation Information: J Clin Invest. 1992;89(2):712-716. https://doi.org/10.1172/JCI115640. It has been hypothesized that the tight localization of dystrophin at the muscle membrane is carried out by its cysteine-rich and/or carboxyl domains. We report the results of biochemical and immunocytochemical investigations of dystrophin in muscle from a 1-yr-old patient with a large deletion that removes the distal part of the dystrophin gene, thus spanning the exons coding for the cysteine-rich and the carboxy-terminal domains, and extends beyond the glycerol kinase and congenital adrenal hypoplasia genes. Immunological analysis of muscle dystrophin shows that the deletion results in the production of a truncated, but stable, polypeptide correctly localized at the sarcolemma. These data indicate that neither the cysteine-rich domain, nor the carboxyl domain, are necessary for the appearance of normal dystrophin sarcolemmal localization.